Another great performance from Mowbray Rangers Under 12s left them on the brink of celebrating a league title. 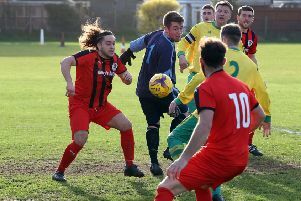 Unbeaten Rangers only require three points from their final four games to ensure they win Division Three of the Leicestershire Foxes Sunday League. AFC Andrews started brightly and caused the home side all sorts of problems for the first 10 minutes, but solid goalkeeping from the in-form Haffenden kept them at bay. The first goal settled Mowbray down when Ewan Brunning smashed home from a free-kick. The opening was the boost they needed and from then on they controlled the game against very strong opposition. The next goal arrived just before half-time, finished superbly by Thomas Presbury after a neat through-ball from the impressive Harry Lea. With the slope and wind at their backs in the second half, Rangers controlled the play with an impressive organised team performance which was underlined with a neat third goal from Presbury.